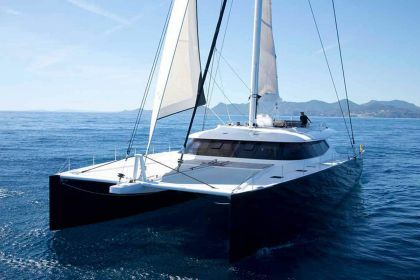 Levante is a sloop-rigged catamaran whose sporty and sleek silhouette was designed to maximize her performance while minimizing wind and water resistance. 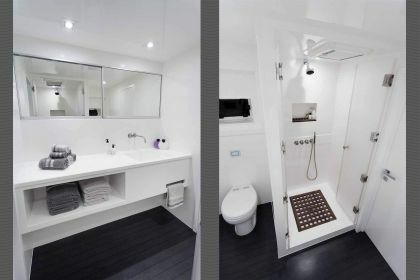 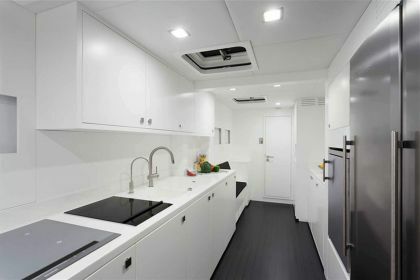 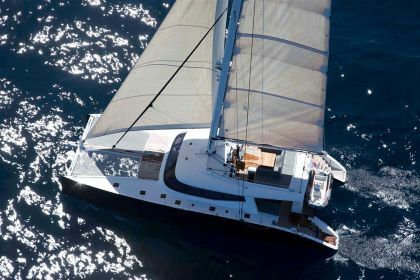 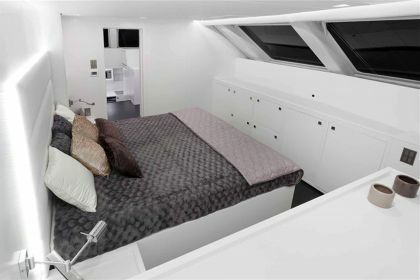 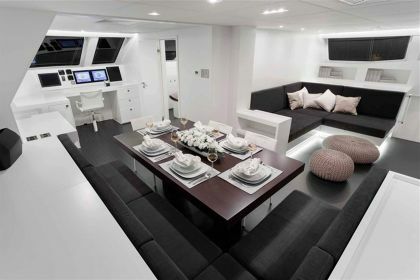 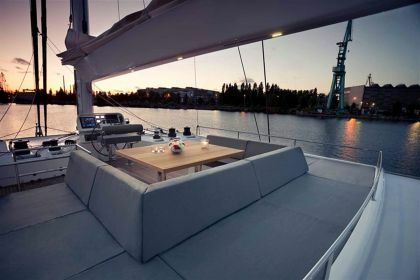 Levante’s lightweight carbon fiber reinforced hull and decks, as well as a carbon fiber boom allow for an unbelievable performance and amazing sailing experience in the most of onboard comfort while the enhanced living space features a main deck full-beam salon and dining area, internal helm and an innovation on single deck catamarans - a main deck Owner’s Suite. 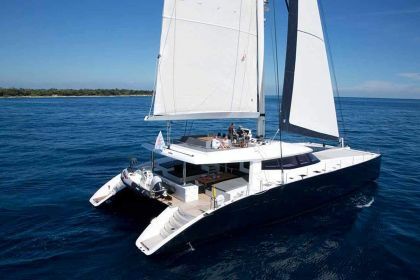 2 Tenders: 100HP and 10HP, Waterski for kids and adults, Kite boards and Slingshot sails for 3 people, Windsurfboard JP and Neil Pryde sails, Diving equipment for 6 people with compressor on board, 2x Inflateble Kayak - Sevylor Pointer K1, Paddle board Naish, Inflatables: Aquaglide Rebound 12 and Aquaglide Blast, Fishing equipment. 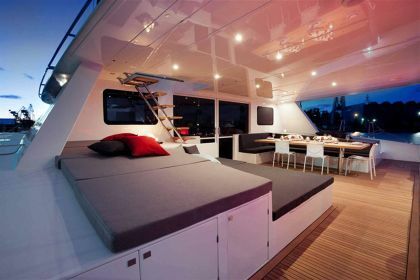 TV LCD 55" - Saloon, Home Cinema BOSE Lifestyle (IPod connection), TV LCD 32" - in cabins.